The Sports Facilities Management (SFM), operates the largest single network of youth sports tourism facilities in the U.S. with 10’s of millions of visits and hundreds of millions in economic impact, these venues are part of the changing landscape of youth sports today. 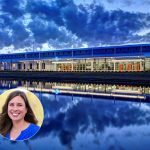 SFM has promoted Myrtle Beach Sports Center General Manager, Jessica Vanco, to National Account Executive. Vanco joined SFM prior to the Sports Center opening in 2015, Under Vanco’s leadership, the Myrtle Beach Sports Center has outperformed economic impact and net revenue projections each year. 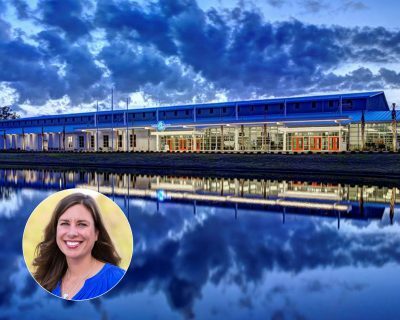 In her new role, Vanco will oversee multiple facilities currently in the SFM National Network and onboard new facilities in SFM’s growing portfolio opening in late 2019/early 2020. The SFM National Network has created unparalleled industry reach and relationships with vendors in many fields and specialties – from equipment to software. SFM has maintained a professional and innovative reputation in the sports sphere allowing for unmatched ability for career growth as evidenced by the firm’s database of many qualified candidates. Sports Facilities Advisory, LLC (SFA) and Sports Facilities Management, LLC (SFM) are both headquartered in Clearwater, FL. Founded in 2003, SFA has served more than 2,000 communities, produced more than $10 billion in institutional-grade financial forecasts, and provided funding strategies and solutions for more than 120 youth and amateur sports and recreation complexes worldwide. SFM provides industry-leading, results-driven management solutions for sports, fitness, recreation, and event venues nationwide. Since 2014, SFM-managed venues have hosted more than 75 million visitors and generated millions of dollars in economic impact. For more information, visit: www.sportadvisory.com.